If you have persistent inflammation or swelling of the tissues that line your sinuses, you could have a condition called chronic sinusitis. 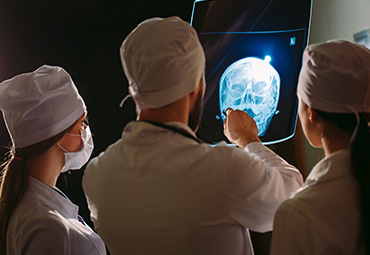 Under normal circumstances, your sinuses are full of air, but when they become inflamed fluid can build up which may then lead to a viral, bacterial or fungal sinus infection. Chronic sinusitis: Symptoms persist for 12 weeks or longer. Acute sinusitis: Cold-like symptoms develop suddenly. Sub-acute sinusitis: Sinus inflammation lasts from four to 12 weeks. Recurrent sinusitis: Several attacks of sinusitis occur during the course of a single year. You should consult an ear, nose and throat (ENT) specialist if you have symptoms of chronic sinusitis. In order to determine if you have the condition, the allergy specialist will ask you to describe your symptoms, and they will perform a detailed physical examination. 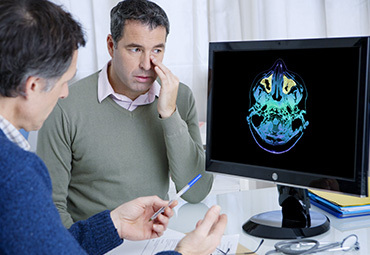 Tests for diagnosing your sinusitis could include blood work, X-rays, mucosal cultures, allergy testing, CT scans of the sinuses and endoscopy. The treatment of chronic sinusitis depends on the underlying cause. 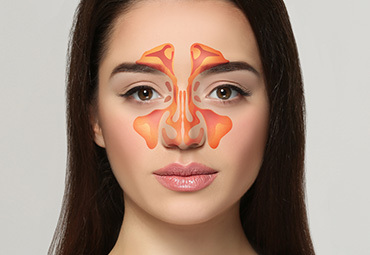 Determining and then addressing any contributing factors and potential triggers is a critical strategy in your chronic sinusitis management. To decrease your nasal congestion, your doctor may suggest prescription nasal sprays or oral decongestant medications. If you suffer from episodes of severe chronic sinusitis, oral steroids may be necessary to reduce your nasal inflammation. Other treatment options include antibiotic therapy, immunotherapy, antihistamines and surgery. Your doctor could strongly advise you to make certain lifestyle changes to alleviate your chronic sinusitis symptoms on an ongoing basis. Stop smoking if you suffer from chronic sinus problems and avoid symptom triggers. If you or someone you love has the symptoms of chronic sinusitis, you could have persistent allergies. Contact one of our caring ear, nose and throat specialists for a consultation. The doctor can help you find a solution to your symptoms.